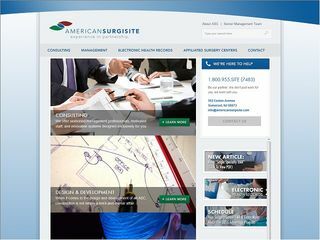 Description: American Surgisite Ctr is a business categorized under surgical centers, which is part of the larger category specialty outpatient facilities nec. American Surgisite Ctr is located at the address 562 Easton Avenue in Somerset, New Jersey 08873-1900. The CEO is Glenn De Brueys who can be contacted at (732)846-2100.